Give your Mustang a custom touch and finish up your exhaust modifications with a Magnaflow exhuast tip. 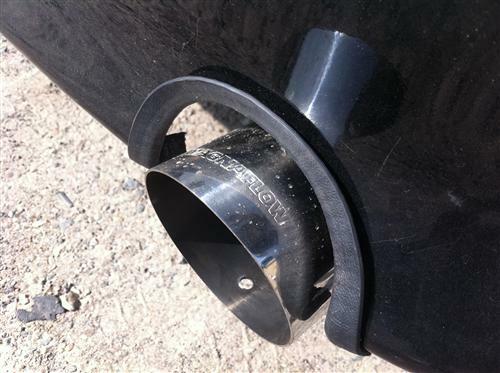 Finish off your custom exhaust project with these 12" long weld on polished stainless steel exhaust tips from Magnaflow! These tips feature a 3.5" large diameter tip constructed of T-304 Stainless Steel with a 2.5" inlet. 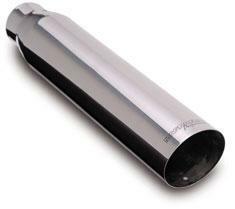 Magnaflow's Polished Stainless Steel tips will last 5 times longer than chrome tips. They also feature a single wall design and a 15-degree angle cut round tip. 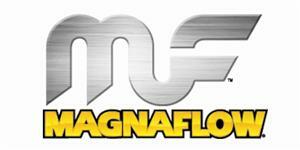 A well known name and leader in the industry, Magnaflow has set the standard for aftermarket Mustang exhaust components. Utilizing products made in the USA, Magnaflow uses the latest technology to fabricate high quality cat back and axle back exhaust systems. Each exhaust kit is dyno tested and flow bench tested to provide the best sound and most power to get your Mustang performing at its best. On May 18, 2000, MagnaFlow Performance Exhaust was awarded the ISO-9001 certificate. ISO-9001 is an international quality standard created by the International Organization for Standardization to define quality management and manufacturing systems. It has 20 specific design, material, and process requirements that help MagnaFlow/Car Sound ensure customer satisfaction with our products and services on Mustangs and Lightnings. ISO-9001 certified companies are re-audited every six months to ensure that quality standards are maintained.